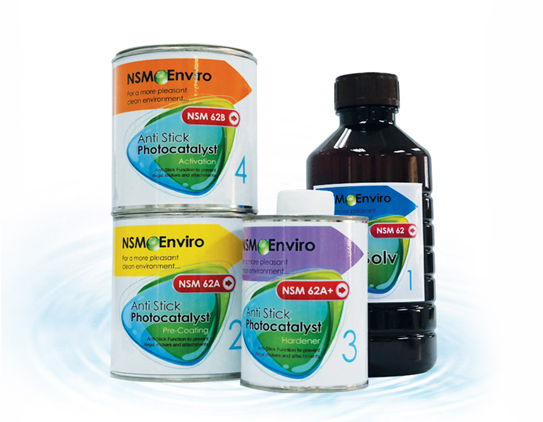 NSM Enviro Anti Stick Photocatalyst is different to other anti stick treatments for it protects the surfaces and are able to be self cleaned with water eliminating the need for hazardous chemical cleaner. NSM Enviro Anti Stick Photocatalyst can be applied to exterior and interior surfaces including concrete, brick, stone, render, fibreglase, timber, metal, cladding, painted surfaces and traffic and general signages. 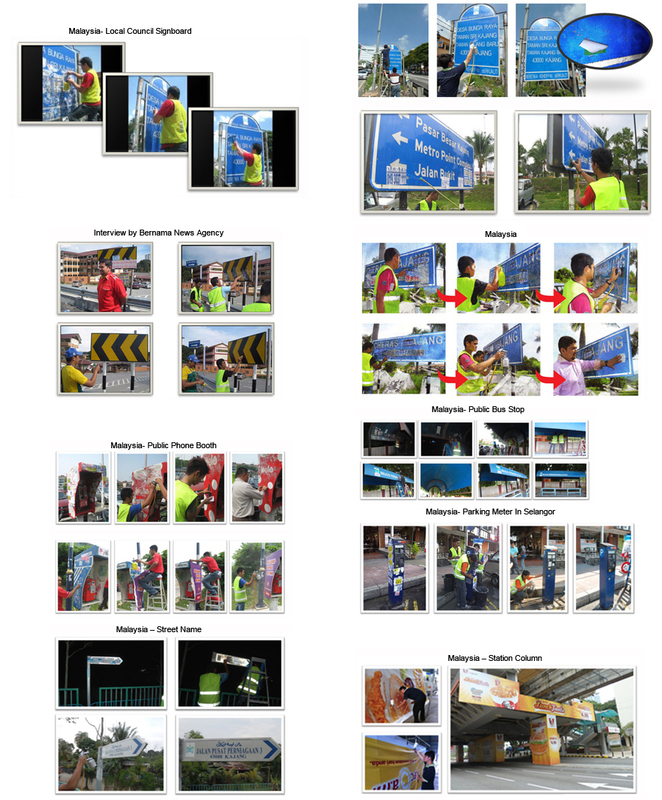 New Signages Manufacturers can apply NSM Enviro Anti Stick photocatalyst as a finish product prior to installation, Not only it provide permanent protection against illegal stickers, posters and adhesire tapes and graffiti attack it also add UV protection and life to paintwork. 1.5mm nozzle size) 2 coats. Then use the activation coating (NSM62B) on the pre coating (use gravity type spray gun-0.5mm nozzle size) 2 coats. Per set of NSM-Enviro Anti Stick Photocatalyst can produce (30 sq. meter – 40 sq. meter) anti stick coating depending on the surface condition.